This garlic press is the simplest way to crush garlic.. No fuss, minimal mess, easy clean, dishwasher safe. Easy to make my own garlic bread with this essential kitchen utensil. I love this Garlic Crusher! Wasn’t that expensive and works well! I just peel a clove of garlic and insert it in the top and then firmly squeeze! Perfect crushed garlic, every time! 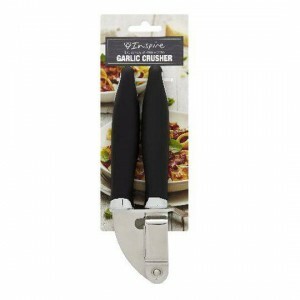 How would you rate Inspire Garlic Press?